This is a very large, diverse, and conspicuous family of beetles. 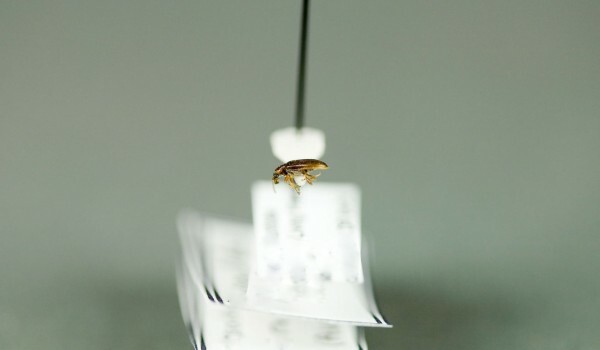 They have thousands of setae, helping them attach to many types of surfaces. Adults feed on plant material, including leaves, flower parts, and pollen. Adults and larvae of some species can store plant chemicals in their body, making them poisonous to predators. 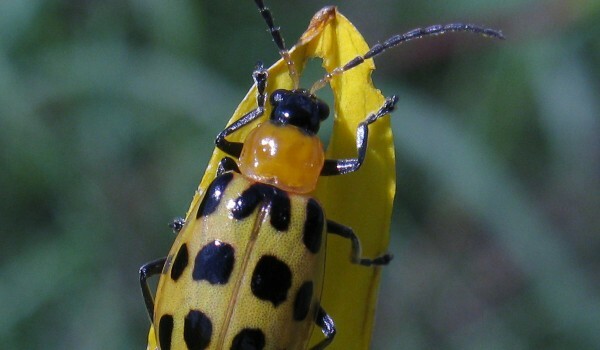 Many species are important pests of agricultural crops, while others are used to control invasive weeds. They have four life stages: egg, larva, pupa, and adult. When young, they often feed as a group. Larvae may stay together as they develop, or begin to feed individually. Pupation usually occurs in litter and soil. Most species over-winter as adults. The status of Canadian species has not yet been assessed, and none are legally protected. 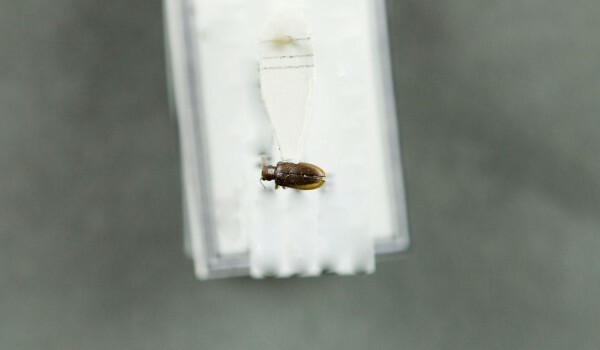 These small to medium beetles are morphologically diverse. They are oval or roundish in shape, and 1-16 mm in length. Antennae are usually short, and their heads may or may not be visible from above. 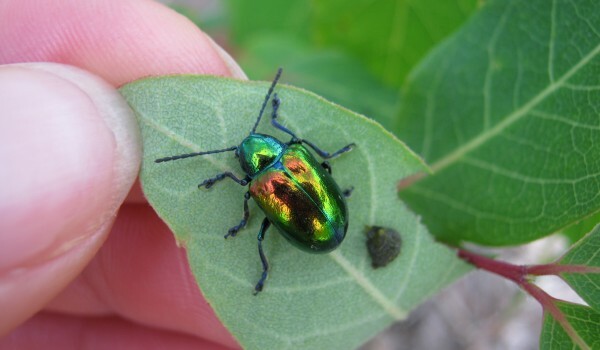 Colouration varies, including bright metallics (greens, black, gold), solid colours (black, brown), and variegated, striped, or spotted patterns (often in bold colours). Adults are often found on plants, where they feed. Larvae can be found in a wide variety of habitats including inside ant nests, in leaf litter, or on leaves in the open. Many are subterranean, while others are aquatic.